DPS is a long established supplier of dental products to improve the patients experience in the chair:CrystalMark Air abrasion,EtchMaster© air abrasion and prophy system, CariFree CTx cavity prevention products, Memory foam dental chair cushions, Anxiety reducing weighted blankets and protective ear plugs...details coming soon. Do any of your patients continue to get cavities despite doing all the right things? Are you/they happy about this? If their current oral hygiene isn't working, istn't it time for a change of tack? Promote a calming effect for your anxious patients, both child and adult. Relieve anxiety and stress and give a feeling of safety and security to special needs patients. If you have nervous or anxious patients, you will find the pressure from a weighted blanket has a soothing, calming effect, making patients more at ease and enabling them to relax. A relaxed patient is an easier to treat patient, hence making the dentist/hygienist/nurse/therapist task an easier one. These weighted products are perfect for people with Anxiety, ADHD, Autism, OCD and any other condition which causes anxiety, including visiting the dentist! They are made out of fire retardant material, which can be wiped clean and washed at 40 degrees if necessary. 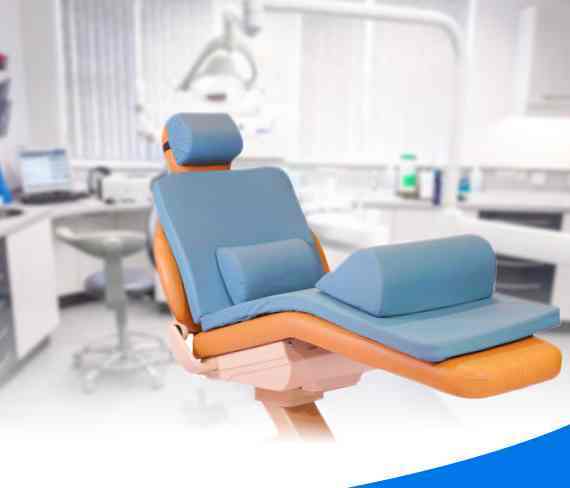 We are the sole distributors of CariFree pH elevating caries management system, Crescent memory foam dental chair supports, CrystalAir Ultralow air abrasion system and EtchMaster® prophy & abrasion system in The UK and Ireland. We have a patient friendly site www.painfreedentistry.uk.com with a 'find a dentist' form for members of the public to find dentists who use our products. Dental Practice Systems has selected the best performing products from leading manufacturers to include in the DPS Comfort Zone portfolio. The philosophy is to provide minimally invasive, low stress products, which are profitable. The high quality dental equipment has an excellent track record in helping dental practitioners provide the highest level of comfort and care to their patients. As independent suppliers, our sales are backed by our thorough knowledge of each item, enabling us to provide excellent support for our select range. DPS is a well established company dedicated to friendly, professional service. Dental Practice Systems is a well-established, family company dedicated to friendly, professional service. In order to provide excellent back up to our clients, we have selected only a small range of dental products with the philosophy of minimally invasive pain free dentistry, so that we can be really knowledgeable and offer dentists a professional service. 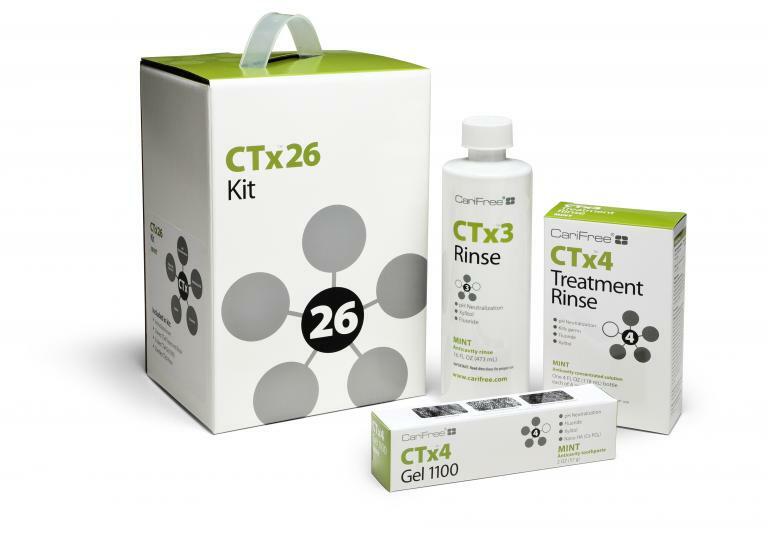 We only market products that have been proven for at least 3 years and have demonstrated an excellent track record with dentists. As independent suppliers, we are not tied to one manufacturer, giving us the freedom to choose the best product for any given application. Our 'Comfort Zone' is a comprehensive diagnostic and treatment centre that has been specially designed by us to provide our clients with a complete range of dental tools in a compact and efficient mobile unit. We scour the world, visiting international shows looking for the best and most innovative dental solutions and thoroughly test them in the UK environment before bringing them to you. A faster, more efficient service. Better dental care of higher value because less time is wasted sitting in the chair. 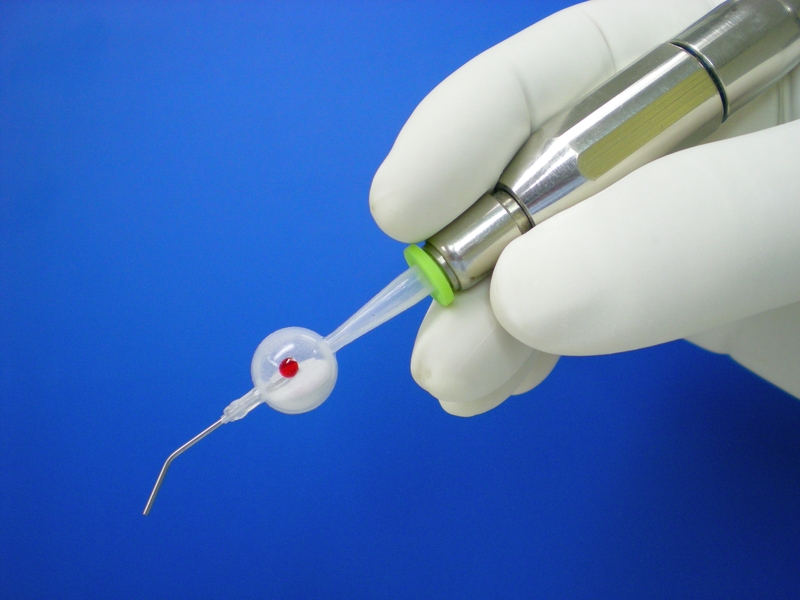 Less stress for nervous patients who fear the drill or find injections painful. Better detection of potential dangers, which can be treated before becoming a painful or more costly problem. Happier patients spreading the word about their painless visit to the dentist! A higher volume of patients can be treated in less time, therefore higher revenues. A higher level of patient care could justify supplemental fees, therefore bringing more profit to the dental practice. This site is for professionals only. If you are a member of the public please call us on 01438 820550.